Former Baywatch-hunk David Hasselhoff is taking the plunge into heavy metal. 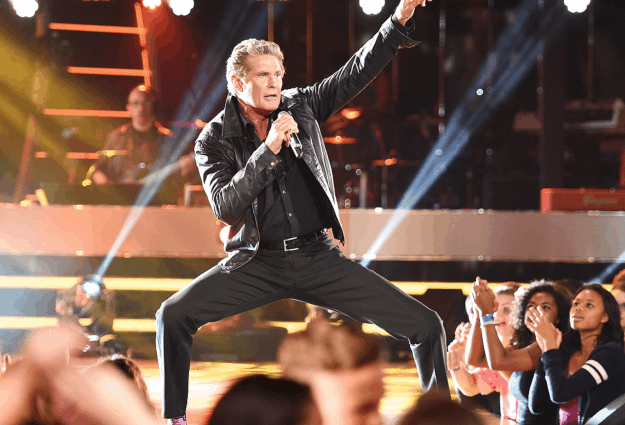 The Hoff has developed quite the musical name for himself in Germany and Austria, and on the back of that success will release his fourteenth studio album soon. You might have heard Hasselhoff’s musical prowess from the unintentionally hilarious ‘Hooked on a Feeling’ visuals, but the actor actually found genuine success with the 80’s-inspired hit, ‘True Survivor’, which garnered over 38 million views on YouTube and soundtracked Kung Fury, the 2015 Swedish martial arts flick. Speaking to German news site Zeit, the 66-year-old actor revealed: “I’m doing some heavy metal songs on my new album, why not? Despite the success of ‘True Survivor’, this upcoming release will be Hasselhoff first full-length album in 7 years, following on from 2012’s This Time Around.